Did you know that the human eye can see over 7 million colors? That said not every color combination is great – some are even painful to look at. Some combinations can prove disastrous due to how they clash. In fact, color choice affects a lot when it comes to marketing and business success. 92.6% of people say that the visual dimension stands as the main factor in affecting the purchase decision. When choosing color schemes, take into consideration what each color communicates or emotes. Each color conveys a certain emotion or personality to people, from the brand’s logo down to the website’s color palette. 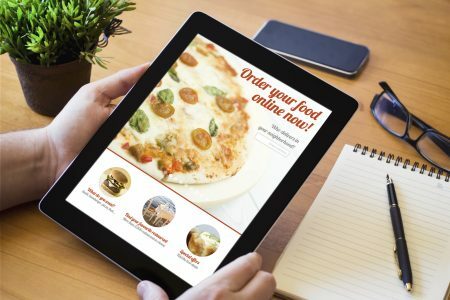 This can make or break your website’s design and marketing appeal. Here are some details on what each color would convey to people. The color yellow conveys optimism, as well as warmth and clarity. It stimulates the mind for people and encourages communication. It also grabs the attention of window-shoppers, like a flashing alert. The downside is that it can also cause strain and fatigue to the eyes. Take note of this aspect when using the color to ensure you don’t over-use it. This color conveys excitement and boldness. It evokes strong emotions like passion and love. It also encourages appetite, which works well with restaurants. Red is also the color of urgency, something that would encourage onlookers to act upon impulse. Like in instances where a sale is happening. This is also the type of color that increases the heart rate. This color has a friendly atmosphere to it. It is also cheerful as it exudes confidence and enthusiasm. It’s also the type of color that shows warmth and is a good color for prompting onlookers to take action. This is also a color that signifies aggression, as well as a sign of caution. This color promotes both growth and health. It has a peaceful feel to it and it reminds many of nature. The calming nature of this color also helps people relax. Aside from the environmental nature of the color, it also has its association with money. This color has this aura of trust and strength in it. It also conveys the message of being dependable and is rather cold to the eyes. Alongside its message of security, it is also non-invasive and productive. Like green, you can use this color on your website to convey a sense of professionalism and authority. This color conveys creativity and being imaginative. It is also used in the context of beauty and longevity, at least in terms of anti-aging products. As a color for branding, it harkens back to its use among royalty. This signifies authority and credibility on your website. While these two are not exactly colors, they are notable as two ends of the shade spectrum. When used, they convey this feeling of balance and neutrality. In some brands, the color black conveys the feeling of luxury. In others, it has this elegance in it alongside its simplicity. Once you have chosen a color for your website, take note of the demographic you are trying to reach out. The colors alone denote emotions. However, interpretations may mean differently among people. In this case, keep in mind the gender and age brackets of those you are trying to reach with your website. For example, the color blue tends to be more popular among men than women. For their second favorite, women love purple while men prefer green. Also, take note of which age groups dominate your demographic. Do you market towards young people aged 19 to 24? Or is this group within the 35-50 age bracket? Take note of these details when deciding on the color scheme. What emotion or message are you trying to convey through your website? What do you offer and what will bring them to you? Pay attention to this and always look for what works well for your audience. When you determine your color palette for website design, there are multiple ways to approach the combinations. One approach is by using a monochromatic scheme, where you only use a specific color but in varying hues. The only risk to the monochromatic scheme is that it may run bland. A good way to address this is to use a complementary color for it to stand out. A triad scheme is also a good setup, using colors that are evenly spaced in the color wheel. A word of caution: using too many colors could overload the senses and may look too cluttered. Once you have chosen your color palette for your website, consider which colors go to which parts of the website. Pick which ones will be your dominant colors, your accent colors, and your background colors. For your dominant colors, use them on the brand logo and menu tabs. You also have to use them on your Call to Action buttons, as well as on headings. Accent colors (which tend to be complementary to your dominant colors) should highlight items that are not the focal point but still stand out. These could be the subtitle or secondary buttons, or even on a background color. Background colors, the main background color, in this case, allows you to bring your audience to focus on what you offer. The color attracts them but it needs to also act as the backdrop. For this, you need a neutral color to bring attention to what you promote. With all these considerations in mind, let us also look at what you should choose as well. Pick the colors that represent your brand. Now that you have an idea of what each color conveys and how they blend well with each other, pick the ones that will represent your brand best. Give this guide to website design a gander, especially if you are aiming to design a website for your church. 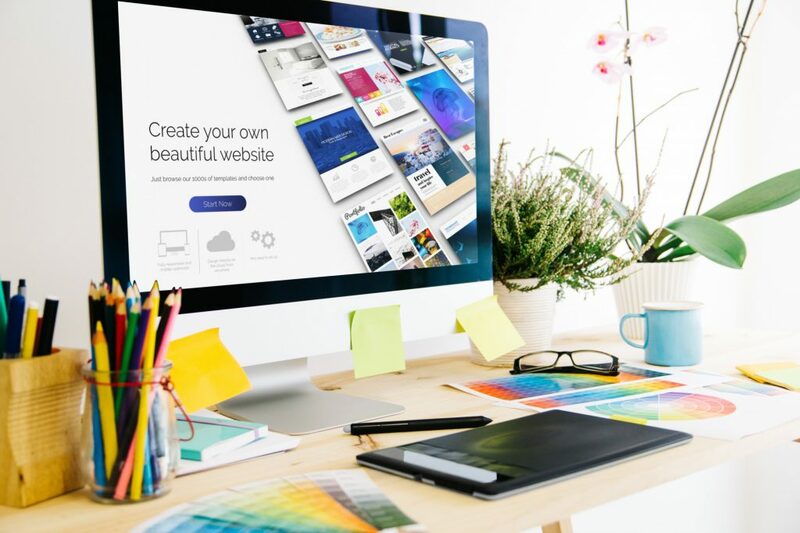 Create an Eye-Catching Website Today! When you use the right combination of colors and solid website color schemes, you can convey your brand’s image effectively. This will bring more to visit your website. This way, your website should be able to stand out with creative and chic web design. 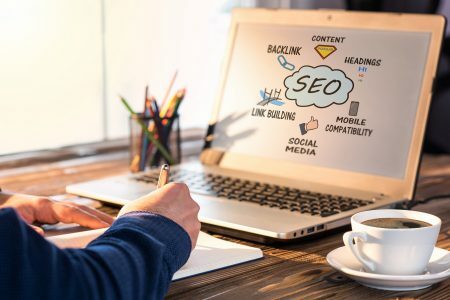 To go with this, check out more of our tips to improve your website’s traffic and visitor count, like this one on how you can do more with the right keywords.